Tylenol and caffeine: they are too common in our everyday life and language to be ignored. When physical symptoms call for our action, we reach for the bottle of Tylenol; to satisfy our cravings, we aim for the kitchen coffee-brewer or the nearest cafe. They are effective and have always been so. But are these remedial actions just about all that acetaminophen (the active ingredient in Tylenol) and caffeine can offer us? It seems that scientific research is beginning to paint the fuller picture. Experts are tapping into the drugs’ less obvious but potential useful functions that could be relevant in the treatment of Parkinson’s disease, a neurodegenerative disorder which debilitates an individual’s motor and muscular ability. While the causes of Parkinson’s disease remain unknown, genetic factors do not appear to contribute to a majority of the cases, and epidemiologic studies have also focused on studying health and lifestyle factors and their correlations with the risk of disease development (Carlson, 2011; Simola, Pinna, Frau, & Morelli, 2014). 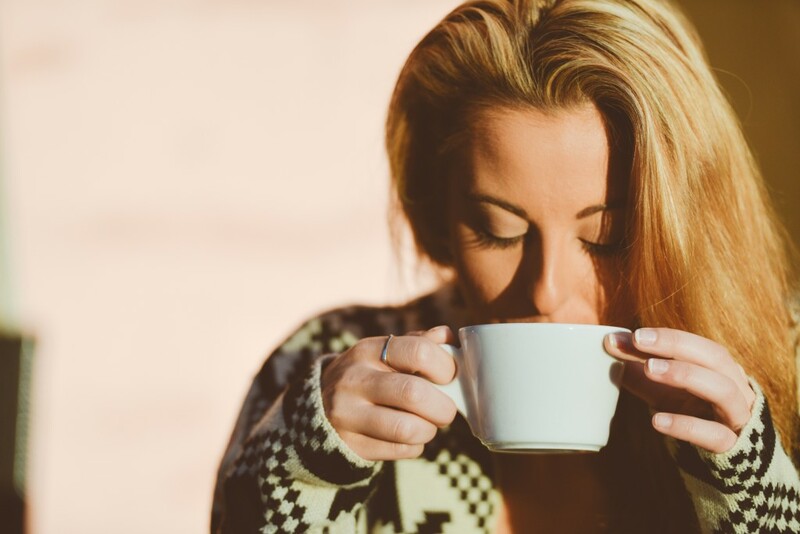 Studies which reported that participants’ caffeine intake lowered their risk of developing Parkinson’s disease led to promising proposed theories of mechanisms of how adenosine receptor A2A antagonists might provide neuroprotective benefits by modulating the excitotoxicity of glutamate-induced activity in the subthalamic nucleus (Simola et al., 2014). They also indirectly attenuate neuroinflammation through action on microglia and astrocytes, cells which provide protective and supportive functions to neurons. It has been known that caffeine renders us more alert by blocking adenosine receptors, A1 and A2A, as the level of adenosine increases with periods of wakefulness and helps promote sleepiness (Carlson, 2011; Kong et al., 2002). In the case of Parkinson’s disease, the focus is on the multiple negative effects of stimulated A2A receptors on nigrostriatal dopaminergic system, the pathway involved in movement control, which connects the substantia nigra with the striatum and a target region of treatment against the disease. The degeneration of dopaminergic neurons in this region contributes to the motor deficit symptoms of Parkinson’s disease and is thought to increase glutamatergic input from the cortex to the striatum. This in turn elevates glutamatergic activity in the subthalamic nucleus and results in excitotoxicity effect on neurons in the substantia nigra, which are very close by in the region. Studies have demonstrated that the death of dopaminergic neurons in the subthalamic nucleus and decrease in dopamine levels in the striatum can be counteracted by A2A antagonists as the stimulation of such receptors increased the level of extracellular glutamate (Greenamyre, 2001; Lancelot & Beal, 1998; Morelli et al., 2010; Popoli, Betto, Reggio, & Ricciarello, 1995; Schwarzschild et al., 2003). From this proposed theory, we get to have a glimpse of the intimate interconnection between different brain regions which function together to affect our neurophysiological well-being. As mentioned, the second mechanism of A2A antagonists works by countering neuroinflammation by suppressing the activation of microglia and astrocytes, which also express A2A receptors and initiate inflammatory responses (Armentero et al., 2011; Halliday and Stevens, 2011; Hirsch and Hunot, 2009; Litteljohn, Mangano, Clarke, Bobyn, Moloney, & Hayley, 2010; Lopes, Sebastião, & Ribeiro, 2011; Reale et al., 2009). Neuroinflammation plays a role in the neurodegeneration progress of Parkinson’s disease. It is worth a note that the action of A1 receptor antagonists did not produce results of neuroprotective benefits comparable to those of A2A receptors in mice models of Parkinson’s disease (Chen et al., 2001). As multiple processes are involved in the progression of Parkinson’s disease, there are treatment options which may target certain mechanisms without impacting others. Therefore, a single drug or surgical procedure may not be sufficient to keep the full range of symptoms at bay. The degeneration of dopaminergic neurons is initiated by genetic mutation and protein misfolding and aggregation which are followed by a series of cellular disarray that culminates in motor dysfunction of an individual, but is also exacerbated by oxidative stress. Research has looked into the potential role of the over-the-counter pain remedy, acetaminophen, in reducing the effect of such process on disease progression. In an animal model study, administration of low concentrations of acetaminophen were shown to be protective against neurodegeneration induced by 6-hydroxydopamine(6-OHDA), a neurotoxin which can self-oxidize and generate reactive oxygen species to deplete anti-oxidant enzymes within cells, leading to eventual cell damage (Locke, Fox, Caldwell, & Caldwell, 2008; Simola, Morelli, & Carta, 2007). In addition, various concentrations of acetaminophen in the same study were effective in suppressing tyrosine hydroxylase(TH)-induced degeneration, also a contributor to oxygen radical formation that harms dopaminergic neurons (Adams Jr., 2012; Locke et al., 2008). A study by Tripathy and Grammas (2009) which tested the response of rat brain endothelial cells that were pre-treated with acetaminophen to oxidative stress demonstrated increased cellular survival when exposed to menadione, the stressor which released reactive oxygen species. The protection offered to these cells was also due in part to the ability of acetaminophen to increase the expression of an anti-apoptotic protein Bcl2 and thus negatively influenced cell death. A later study reported that the addition of acetaminophen to the brain microvessels of rats increased vascular expression of neuroprotective proteins, which were discovered to decrease with increasing age of the animals (Tripathy, Sanchez, Yin, Martinez, & Grammas, 2012). Although further research is needed using just animal models but also human epidemiologic studies of acetaminophen consumption, and in spite of the drug’s mechanisms being less direct and target-specific compared with caffeine or A2A antagonists, such preliminary evidence should not be taken lightly just because they sound trivial and too good to be true. Carlson, N. R. (2011). Foudations of behavioral neuroscience. Boston, MA: Allyn and Bacon. Chen, J., Xu, K., Petzer, J. P., Staal, R., Xu, Y., Beilstein, M.,…Schwarzschild, M. A. (2001). Neuroprotection by caffeine and A2A adenosine receptor inactivation in a model of Parkinson’s disease. The Journal of Neuroscience, 21, 1-6. Greenamyre, J. T. (2001). Glutamatergic influences on the basal ganglia. Clinical Neuropharmacology, 24, 65–70. Kong, J., Shepel, N., Holden, C. P., Mackiewicz, M., Pack, A. I., & Geiger, J. D. (2002). Brain glycogen decreases with increased periods of wakefulness: Implications for homeostatic drive to sleep. Journal of Neuroscience, 22, 5581-5587. Lancelot, E., & Beal, M. F. (1998). Glutamate toxicity in chronic neurodegenerative disease. Progress in Brain Research, 116, 331–347. Popoli, P., Betto, P., Reggio, R., & Ricciarello, G. (1995). Adenosine A(2A) receptor stimulation enhances striatal extracellular glutamate levels in rats. European Journal of Pharmacology, 287, 215–217.